The easiest plug-n-play USB document with premium features has arrived. The U70 produces an extraordinary, 4K quality visual experience while still maintaining its simplicity. The U70+, with its built in 13MP camera with 16x digital zoom, delivers best in class pixel performance capturing full resolution that enables vibrant, ultra-clear images. 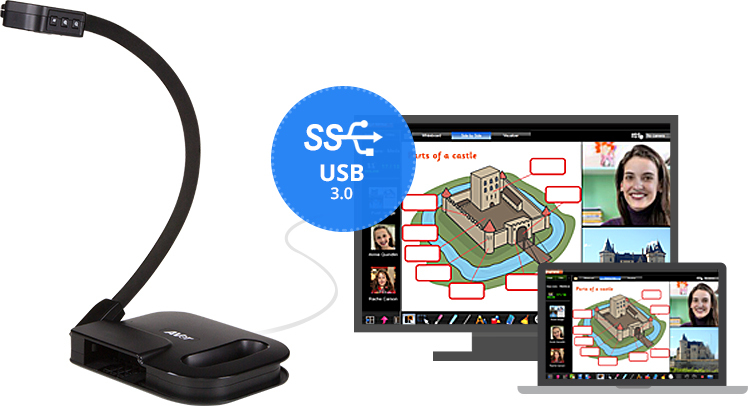 Add USB power and you've got a USB document camera that super speeds everything to and from its connected device providing a lag-free streaming experience. 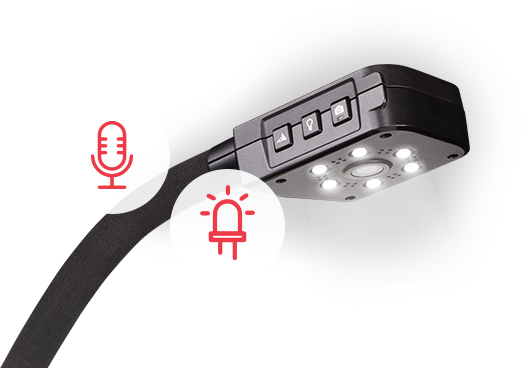 Whether you're doing a live demonstration or livestreaming, leverage U70+'s embedded built-in LED and microphone to spotlight your subject and listen in on the learning experience. 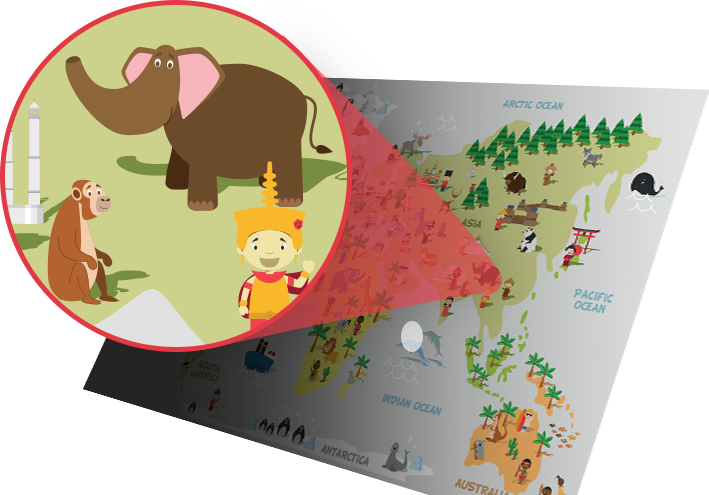 Use U70+'s free Sphere2 & ClassSend software to inspire innovative lesson creation and build classroom engagement. 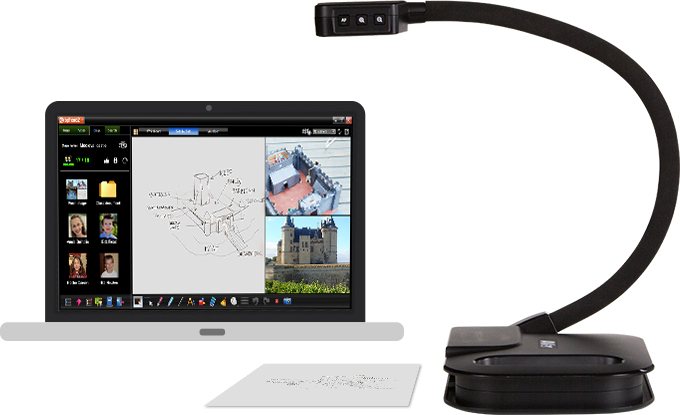 It's the bridge that connects you and your document camera to your students. Shooting AreaMax.  20.8" x 15.5"
*at 16:9, shooting area 21.4" x 12.0"
* USB2.0 compatibility on Mac OS.